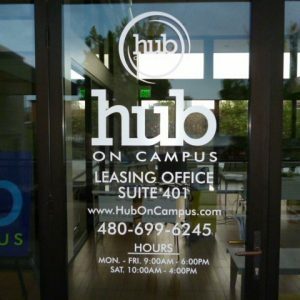 If you are searching for “office lobby signs”, “interior office signs”, “office signage”, “office logo signs”, “interior building signs”, or “lobby logo signs” in, Phoenix, Scottsdale, Tempe or any of the surrounding areas, Arizona Commercial Signs can help! 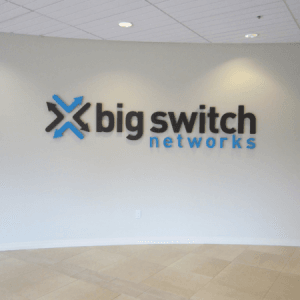 Not only do we design and install custom interior office signage, but we also offer a variety of other signage services we provide for businesses in the area. Whether it’s retail customers or potential corporate partners; custom signage with your company’s distinct logo, type and font style makes a significant statement which reinforces your brand identity and presence. 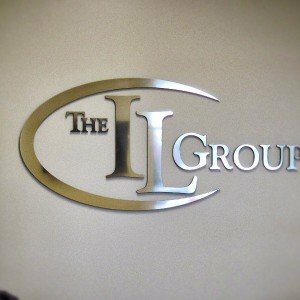 Choose a clear or brushed acrylic, or pick from many varieties of available metals then finish your sign in a unique style and color to reflect your corporate culture. 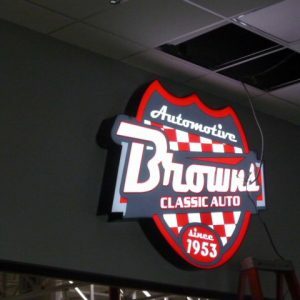 Using low voltage LED lighting your wall sign can be illuminated for an even greater impact. Welcome your customers or potential customers in style. 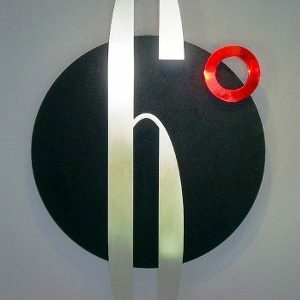 Your lobby marker not only establishes the name of your business, but it also sets the mood that you are trying to convey. A well-established law firm that has been around for a few decades will likely choose a different marker than a chic marketing agency that favors more of a designer’s vibe. With metal, vinyl, acrylics and a plethora of colors available, this is a perfect mood setter. Clearly indicate the location of emergency exits, the locations of the men’s and women’s restrooms and maybe the way to the conference room. When you are running a large office, hotel, or school it is a good idea to add room numbers. When you have frame signs, you can switch out the inserts every time a someone changes offices, you hire new employees, or you can change the room monikers. Help your visitors find the right floor easily. With a directory located near the front entrance, by elevators or stairs, they can look up the business or name of who they are coming to visit and find out the exact floor and room number. From the directory, it will be easy for them to find their way through the building’s floors and locate the correct office. This is essential when your office building includes more than one business. Browse some of the interior office signs we have installed for Phoenix Valley businesses. “I had already received several bids for my store sign, when Arizona Commercial Signs was referred to me by a friend. I dealt with Gary, who was prompt, efficient and did my sign exactly as I expected. He communicated on time and responded to any questions I had. I now love driving up to my store, Laurie’s Bridal, and seeing my name in lights! Highly recommend!” Laurie D.
“I would definitely use this company again as well as recommend it to others!! I had never used them before, I looked them up online, I called and received great customer service right off hand. Their Salesman was very precise about the entire process and very helpful. They have great prices and I have always received prompt service whenever I had questions or needed repairs. Thanks!” Fallon B. Schedule your initial interior office sign or lobby sign design consultation with our expert interior sign designers in Phoenix by giving us a call at 480-921-9900. We make the process of getting a new interior office sign simple; simply select the type of sign you would like us to build, then fill out our estimate form. One of our expert sign designers will get back in touch with you to review and approve our quote. Once you approve the design, we move ahead with the final design, send it to you for proofing, then fabricate your brand new custom interior office sign! 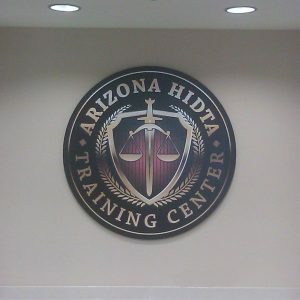 Are you searching for sign companies who design, build and install "Interior Office Signs" or "Interior Lobby Signs" In Phoenix, Scottsdale, Tempe or any of the sourounding areas? If so, Arizona Commercial Signs can help! 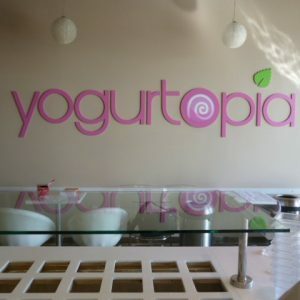 Not only can we design and install your custom interior signage, but we also offer a variety of other signage services.